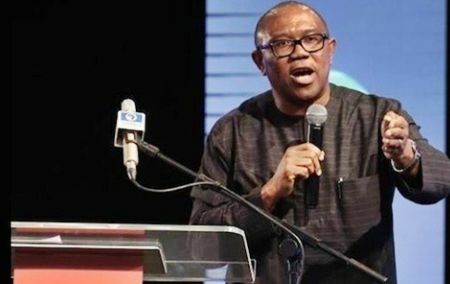 Former Anambra State Governor, Peter Obi, has said one reason he was reprimanded amid his administration was his refusal to expand the administration's yearly spending plan. “Government budget should be published, each item they want to spend money on should be published so people can compare the prices government are buying their items with what it is in the market,” said Mr. Obi, who was governor between 2006 and 2014. “I have been a victim of that because budgets are not properly articulated, it’s inflated not even padded. I was impeached in Anambra State, removed from office twice, the first one is because of this budget issue. “They want to repair Office of the Governor, which is my office, the approved budget for 2006 was N298 million, I repaired everything with N43.2 million. They said I didn’t do it through due process, because they have awarded the contract. Obi said politicians as well as civil servants are responsible for inflated government budgets. “I keep saying it, if the leader is not stealing, you reduce it by 75 percent. Because anybody on the line will know. “My first experience as a governor, was about headed paper. When I arrived, they said they were going to do headed paper. Because I came from a business and a private sector, I’m a trader, so when they said to do a ream of paper that I used to buy in my office N750, they told me it’s N15,000. I said ‘Ehn! What do you mean?’ They said they even reduced it from N18,000 to N15,000. Obi said part of the problem with governance in Nigeria is that government is transactional, instead of transformational. “It depends on what I’m hiding because I’m hiding something,” he said.